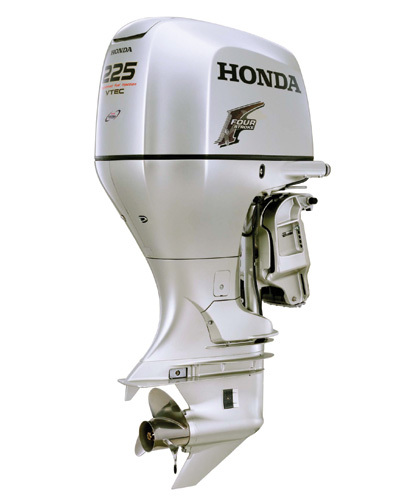 With its powerful 3.5 liter V-6 single overhead cam (SOHC) engine, Honda Marine's BF225 offers superior outboard technology to sports anglers and recreational boaters alike. Based on Honda's world-renowned Odyssey engine and featuring a Honda Exclusive Dual Stage Induction system, the BF225 delivers superior power and fuel economy throughout its rpm range. With today's boater relying heavily on VHF radios, depth gauges and other electronics, the BF225's belt-driven, on-demand alternator delivers up to 90 amps of peak charging power.